In the heart of the Val Bormida (the scene of battles of Napoleon’s campaign), the village of Spigno gathers around the old fortified site of the Medieval Castle. Built on a rocky outcrop between two rivers it offers beautiful views of the Monferrato countryside up to the chain of the Maritime Alps. Here there was the Roman Via Emilia, which connected Acqui Terme with Vado Ligure and here, in 991, was founded the main monastic center of the Monferrato, San Quentin’s abbey. Calanques, rocky inlets in tuff; hills rich in vineyards; chestnut and hazelnut trees; are the backdrop for this area dotted with historical villages that have preserved their rural traditions. If you like good food, traditions and healthy living in contact with nature, Spigno and the region will meet your expectations all year long. Spigno has also an elastic ball team named the Pro Spigno. Since 1988 they are taking part to the Italian championships successfully. For score and news, you might have a look to the official site: Lo Sferisterio. If you are fond of fishing, close by, you might enjoy the Valla river stream. And why not playing sports such as trekking, fitwalking (brisk walking, nordic walking, breathwalk), tennis, golf, excursion by feet or bicycle and horseback riding. Acqui Terme has a golf course and a horse center and if you like to play tennis you might enjoy Spigno all-weather court. 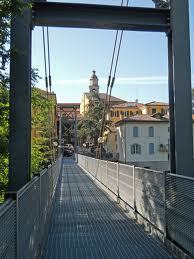 Around Spigno there are many naturalistic itineraries and some are listed in the link to the “Greenways Trail”. 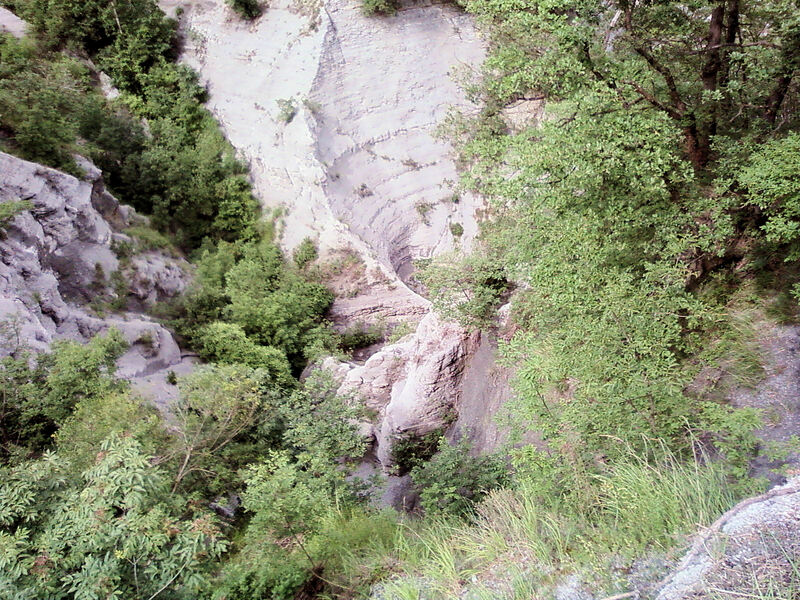 Some others are suggested by the Province of Alessandria. 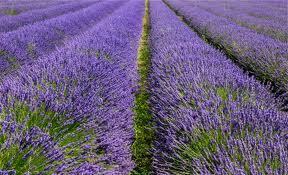 One of these hikes will lead you to the small village of Bergagiolo where scents and colors of the lavender fields will welcome you together with the fragrances of other herbs collected by the cooperative Agronatura for the production of essential oils. Other strong and colorful emotions can be offered you by the Palio of Asti and by the visit to the Castles of Monferrato. 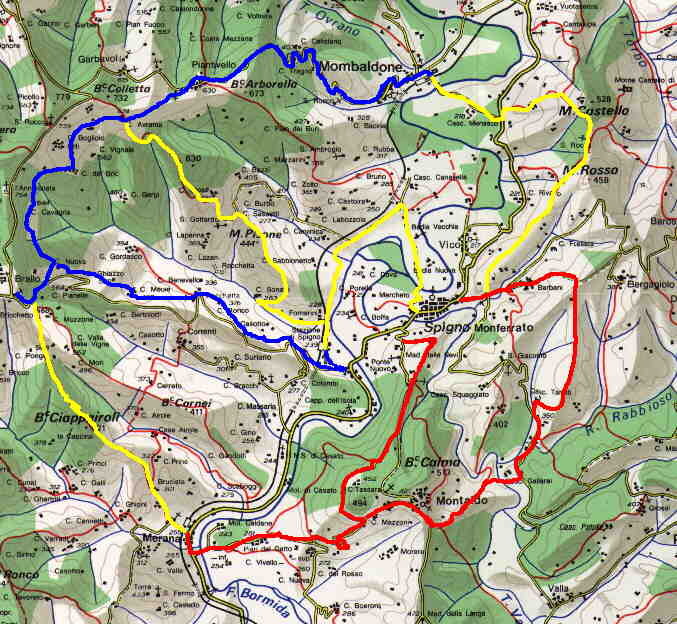 In fact, the Monferrato is a landscape of hills of vineyards dotted with castles. Starting from the farthest from Villa Cheti as the Castle of Paleologi in Casale; the Castle of San Giorgio Monferrato, built to stop the Saracen wave that threatened the Piedmont in the tenth century; or the Old Mansion in Vignale Monferrato. Up to the Castle of Camino very famous for its beautiful frescoed rooms. Until the Castle of Lignano with finely decorated rooms. 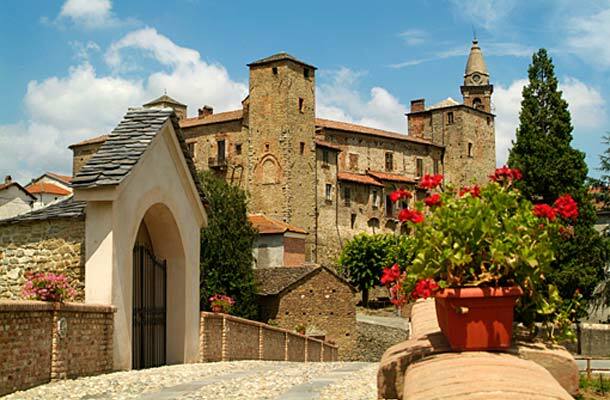 But to enjoy one of the most beautiful view of the Piedmont you should visit the Castle of Uviglie, near Rosignano Monferrato. Approaching Villa Cheti, the area around Ovada has many medieval castles such as Rocca Grimalda, Orsara Bormida Tagliolo, Trisobbio, Cremolino, Morsasco. It is worth to visit the Castle of Prasco whose the initial nucleus of the twelfth century is not far from the interesting Botanical Garden of the Almond. 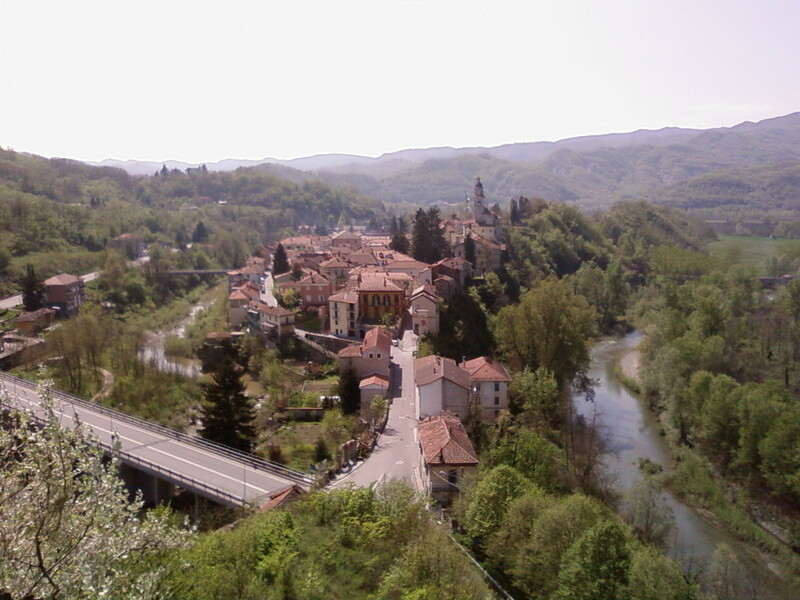 Finally, the closest to Villa Cheti is the nice Castle of Monastero Bormida in the picture hereunder. The Medieval Watchtowers, located around the hills of Spigno, can be an interesting destination from a cultural point of view and an open window over an unspoiled landscape. As the Tower of Merana, of Denice, of Vengore, of Roccaverano and the village of Mombaldone, a true gem of the Middle Ages. Last but not the least, the Castle and the Tower of Ponti, the village with five churches.